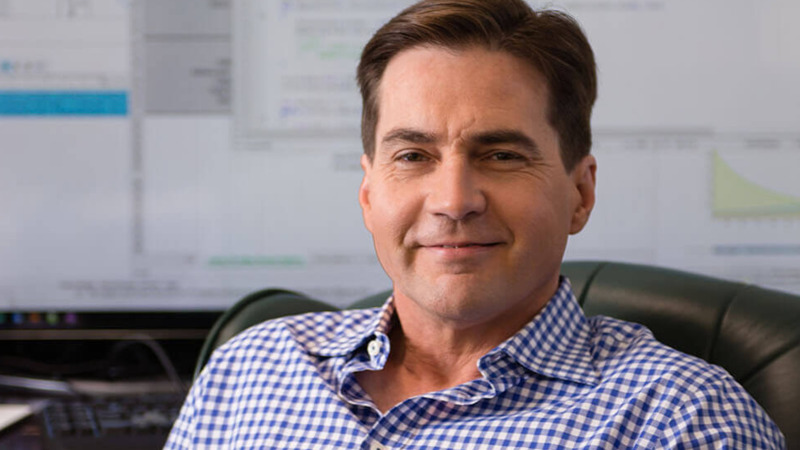 Craig Wright claims he will post more proof he is the father of Bitcoin, known as Satoshi Nakamoto. The search for the real identity of Satoshi Nakamoto, the father of Bitcoin, continues. After Australian entrepreneur Craig Wright publicly revealed himself as Nakamoto on Monday, showing cryptographic proof of his identity to media publications including the Economist and the BBC, as well as several prominent people form the Bitcoin community, an enormous cloud of doubt overshadowed his claims. Many Bitcoin enthusiasts and experts pointed to possible proof of Wright's fraud, including inconsistencies, errors and possible intentional deceit in the blog post published on Wright's site after the reveal. Now, Wright has written another blog post, in which he claims he will offer "extraordinary proof" he is, indeed, Satoshi Nakamoto. In the post, Wright says he will publicly provide cryptographic proof he is Nakamoto, this time by moving some of the bitcoins known to be owned by Nakamoto (another way to prove the same thing would be to sign a message with a cryptographic key known to be owned by Nakamoto, which Wright reportedly did in front of chief scientist at the Bitcoin Foundation, Gavin Andresen, and some of the Economist's staff, but not publicly). Wright further claims that even spending Nakamoto's bitcoins wouldn't be enough proof he is Nakamoto (he is right — it only proves he has access to Nakamoto's cryptographic key, not that he actually is that person), so he plans to offer even better proof. "I can prove access to the early keys and I can and will do so by moving bitcoin, but this should be a necessary, but not sufficient, condition for such an extraordinary claim," Wright wrote. This proof will consist of "independently verifiable documents and evidence addressing some of the false allegations that have been levelled, and transferring bitcoin from an early block." Wright plans to do all this "in the coming days," but notes that some will doubt his identity as Nakamoto even after he provides this proof. "This is the nature of belief and swimming against this current would be futile." Satoshi Nakamoto — a person or a group of people who created Bitcoin in 2008 — has, according to available data, never been seen publicly. He only communicated with early Bitcoin developers and adopters electronically, prior to disappearing in 2010. He is known to own the first-ever mined bitcoins; his total stash is roughly one million bitcoins, or some $449 million in today's value. Many Bitcoin enthusiasts and experts pointed to possible proof of Wright’s fraud, including inconsistencies, errors and possible intentional deceit in the blog post published on Wright’s site after the reveal. Now, Wright has written another blog post , in which he claims he will offer "extraordinary proof" he is, indeed, Satoshi Nakamoto. In the post, Wright says he will publicly provide cryptographic proof he is Nakamoto, this time by moving some of the bitcoins known to be owned by Nakamoto (another way to prove the same thing would be to sign a message with a cryptographic key known to be owned by Nakamoto, which Wright reportedly did in front of chief scientist at the Bitcoin Foundation, Gavin Andresen, and some of the Economist ‘s staff, but not publicly). Wright further claims that even spending Nakamoto’s bitcoins wouldn’t be enough proof he is Nakamoto (he is right — it only proves he has access to Nakamoto’s cryptographic key, not that he actually is that person), so he plans to offer even better proof.